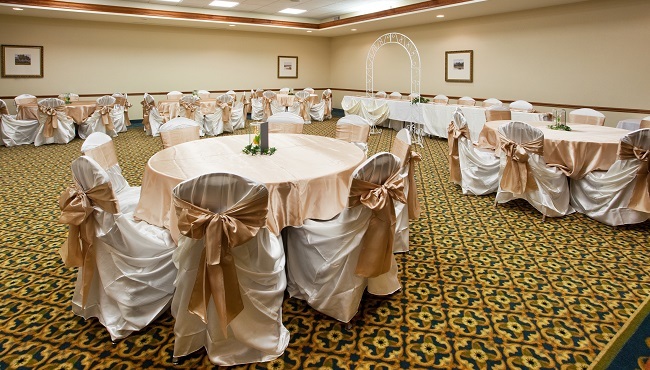 Located southwest of downtown Atlanta and near the ATL airport, the Country Inn & Suites, Fairburn, GA provides an ideal place for meetings, reunions and receptions close to the city but without the hassle of city traffic. Our hotel’s 1,200-square-foot meeting room can accommodate up to 100 guests and features audiovisual equipment that includes a projector and a screen. Our professional staff can provide catering recommendations and arrange water and coffee service. Contact the hotel to plan your meeting or special event, and be sure to ask about the hotel's group rates, the Radisson RewardsTM for Business program and the all-inclusive Fairburn Meeting Packages.